Katherine Lawrence lives in Saskatoon and works for the Royal University Hospital Foundation as Campaign Director and Development Officer. Her poetry has appeared in numerous Canadian journals and anthologies. Her first book, Ring Finger, Left Hand (Coteau Books, 2001) won a Saskatchewan Book Award. Her second collection, Lying to Our Mothers, (Coteau Books, 2006) was a finalist in the 2006 Saskatchewan Book Awards. Katherine holds a BA from Carleton University and a post-graduate certificate in Creating Writing (fiction) from Humber College. 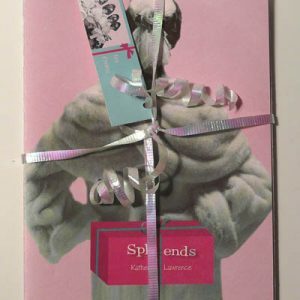 Her JackPine publication, Split Ends, is a short story.